DENVER, COLORADO – 13 August 2014 – Theresa Bradley-Banta Real Estate Consultancy (TBBREC) was named the winner of three Bronze Stevie® Awards in The 11th Annual International Business Awards today. 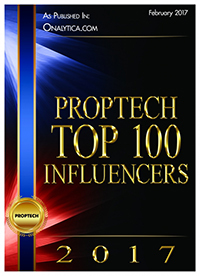 The three awards – all in the Real Estate category – are for: Company of the Year, Executive of the Year and Website of the Year. The International Business Awards are the world’s premier business awards program. All individuals and organizations worldwide – public and private, for-profit and non-profit, large and small – are eligible to submit nominations. 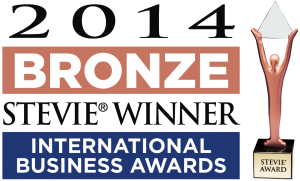 The 2014 IBAs received entries from more than 60 nations and territories. More than 3,500 nominations from organizations of all sizes and in virtually every industry were submitted this year for consideration in a wide range of categories. TBBREC won three Stevie® awards in large part for its groundbreaking Global Initiative aimed at international real estate investors facing the demands of absentee ownership. “Our Global Initiative stands alone in requiring investors to be collaborative and to commit to improving communities and local economies,” said Theresa Bradley-Banta CEO and Founder of the Theresa Bradley-Banta Real Estate Consultancy. CEO and founder Theresa Bradley-Banta is an award-winning consultant, published author and sought after speaker on reality-based strategies for buying, owning and operating multifamily investment properties. Theresa Bradley-Banta is the author of Invest In Apartment Buildings Profit Without The Pitfalls (2013), a guide to “no-hype” investing in apartment buildings, a longtime specialty of the consultancy. In addition to the Global Initiative for International Real Estate Investing and its skilled Advisors, the consultancy offers mentorship programs for mid-level real estate investors moving into multifamily investment(s) and consulting services for owner operators of investment real estate, both contributing factors to the IBA wins. While the TBBREC Global Initiative is designed to support profitability, it also uniquely supports collaboration with individuals, organizations and local governments in education, critical thinking and best practices for investors in foreign real estate. The goal of the TBBREC Global Initiative is to empower owners of foreign residential investment real estate in the U.S. to have a positive and lasting effect on their communities. The Initiative supports investors with a range of services and education including but not limited to: local market research; team management; cultural awareness and communication; financial management and due diligence; resident management and retention; as well as property management and operations. It also provides for strategic support including management of existing holdings in residential rental properties. To find out more about the Global Initiative for International Real Estate Investing and its Advisors, visit www.theresabradleybanta.com.